If you are about to start learning to drive, and seeking an instructor, you want to make sure you choose the right person or your learning needs. The right driving instructor can make the process of learning to drive simple, stress-free and fun – they will give you the best chance of passing your test on the first attempt. 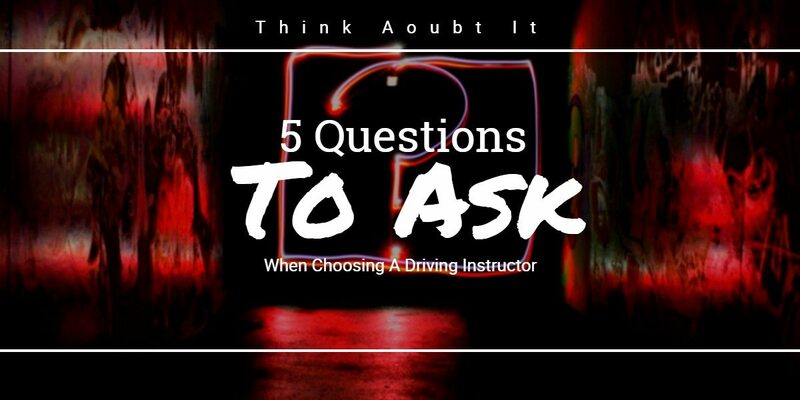 When selecting an instructor, be sure to ask these five questions. This will help you get the best person for your learning needs, and boost your chances of getting that pass mark. What is the pass rate for your service? Don’t pin everything on the pass rate. No driving school can achieve a 100% rate – there will always be a handful of drivers who find it hard to pass first time, even with the best instruction available. However, a good driving instructor will have a high pass rate and they will be proud of it. Instructors who care about their work will remember their students well, they look fondly on each pass as a personal success. Do you recommend regular lessons or an intensive course? Driving instructors vary greatly in their teaching styles. Some prefer to spread learning over weekly or bi-weekly lessons of an hour per block, while others will offer multiple lessons in a day or even full day or week courses. How you learn to drive is up to you, but make sure your instructor favours a learning schedule that matches your needs. Pass Plus is an advanced course for new drivers who want to sharpen up their skills. It includes motorway driving, rural driving, night driving and other elements that the standard driving test does not typically cover. Drivers who complete the course often get an insurance discount. Make sure to ask if your instructor offers this additional program, and take it up if it is available. Some driving instructors are better equipped than others to handle learners with mobility needs, or with issues such as anxiety. Before you choose an instructor, ask if they have experience of teaching drivers with additional needs. You should also ask what the vehicle they teach in is like – is it accessible, does it have any adaptations or can they teach you in your own specialist mobility vehicle? How many hours do you expect I will need to book? Every driver is different, so any figure they give you is just an estimate. However, it can give you an idea of when the instructor expects you to be driving by, and when they will aim for your test to be taken. You don’t want an instructor who will rush you through the process, but you also don’t want an instructor that will keep taking your money and make slow progress in the process. The DVSA estimates that you will need between 30-45 hours of tuition to be ready for your test, so use this as a benchmark when asking about tuition time.